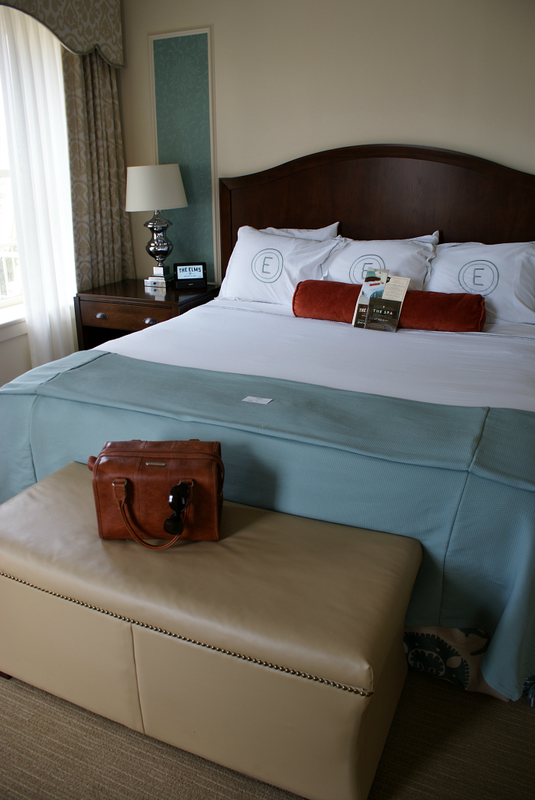 Over the weekend, Jesse and I took a little trip to The Elms Hotel and Spa for a some much needed rest and relaxation. Travel isn't really my genre, but The Elms is very special to me (I grew up taking weekend trips there with my family) so I wanted to write about it in hopes that others might give the place try. 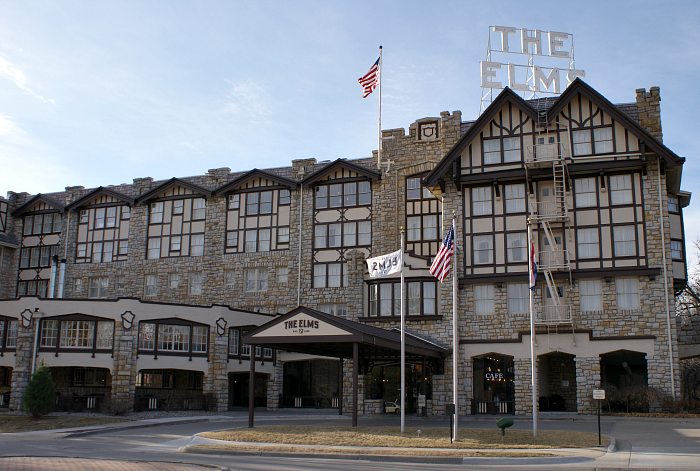 The Elms is located in Excelsior Springs, Missouri which is a three hour drive from where we live. The distance isn't too bad considering some of the road trips we used to take and we kept a leisurely pace by stopping for lunch (ahem, with a little wine) and antiquing. We had a great lunch Piatta 614 in St. Joseph. This place has unique rough-hewn decor, friendly staff and great food! I had a starter salad with espresso vinaigrette, chicken Parmesan and the Cartlidge and Browne Chardonnay. After lunch, we stopped at this secondhand furniture emporium. Fortunately, they didn't have anything I couldn't live without, but this vintage piano caught my eye. Jesse and I really want B to learn an instrument and a small scale piano like this would work well in our house. 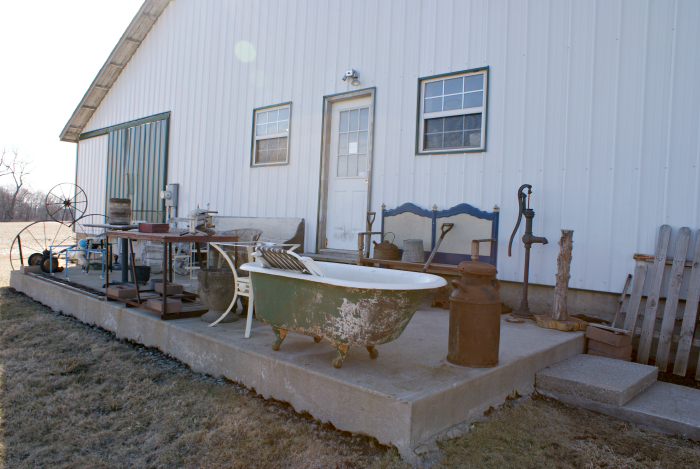 About thirty minutes outside St. Joe, we stopped at this barn turned antique store right off I-36. They had a great selection of fairly priced antiques; I bought a pair of vintage costume earrings and Jesse found an old hand plane. 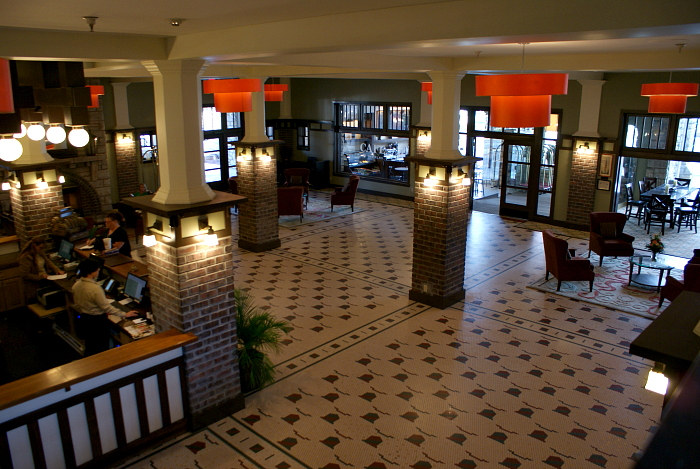 We arrived in Excelsior springs at about three o'clock which was the perfect amount of time to get settled into our room, enjoy happy hour and then head down to the spa for services. Check out the beautiful accommodations! The hotel underwent a huge renovation in 2012 that turned out so beautifully. They kept the original shape, look and feel of the hotel while bringing it up to modern standards in terms of furnishings and decor. To me, the hotel has slightly European feel, but that's probably just due to it's age. We had a lovely corner room with huge windows on two walls. Can't go wrong with Aveda products in the bathroom! At the spa, I enjoyed a basic facial followed by a sea salt and rose petal body scrub. I think I can sum up the experience by saying that afterwords my whole body felt like buttah! They don't allow phones or cameras in the spa area (thank goodness!) 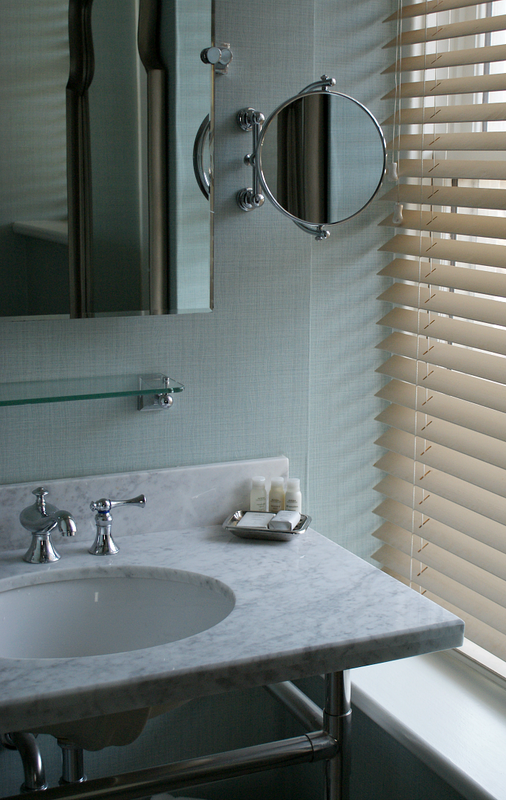 so here is a pic from The Elms Hotel Facebook page. While I was being scrubbed, massaged and sprayed, Jesse enjoyed hanging out (and taking a nap!) in the grotto. The grotto features dry and steam saunas, a self serve exfoliation bar and a cold plunge shower. After having our bodies turned into Jell-O, it was getting late and neither of us felt like dressing up for dinner; so we skipped the hotel restaurant and headed across the street to Wabash BBQ for some fried pickles and ribs. 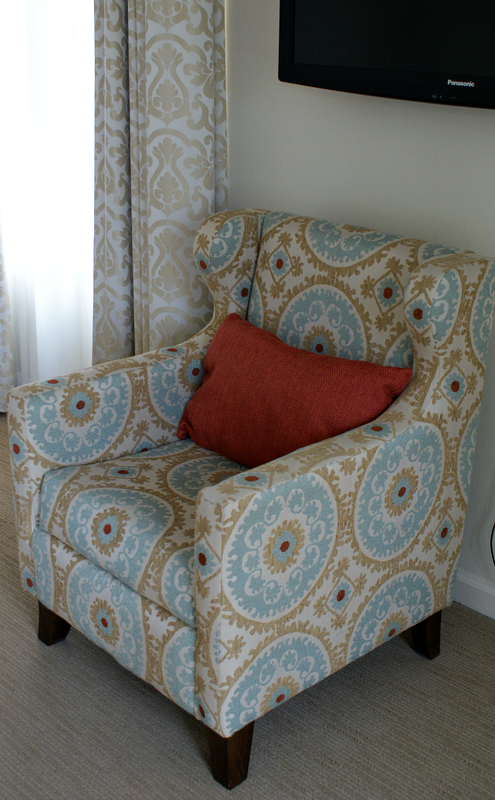 We had wonderful stay at The Elms. My only gripe, and it's a small one, is that since the renovation they seem to be doing a lot of wedding business so there can be a few noisy guests in the evening hours. We actually ended up switching rooms at about midnight due to noise, and the Hotel staff was perfectly gracious and accommodating. I'm very happy that The Elms is doing well, but old hotels have thin walls so if you go on a weekend, I'd recommend asking for a quiet room away from the wedding party, if possible. 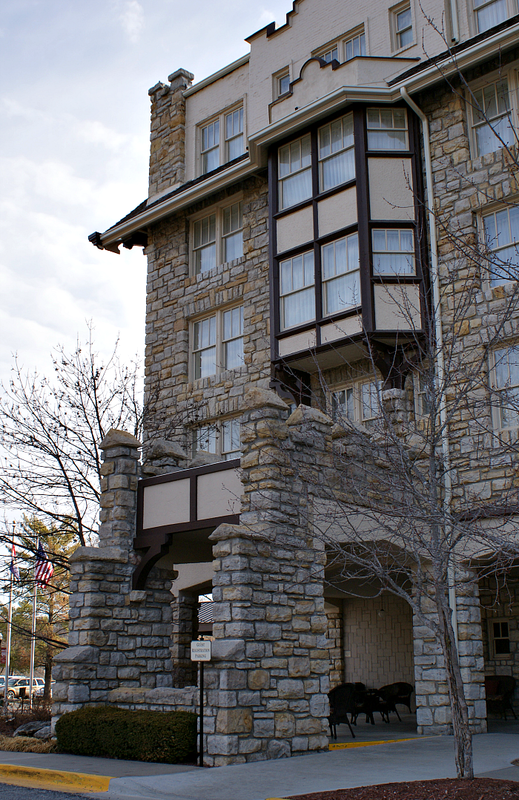 President Truman stayed at the Hotel on the evening of the 1948 election. He went to bed thinking he'd lost and awoke to find a newspaper declaring his victory. 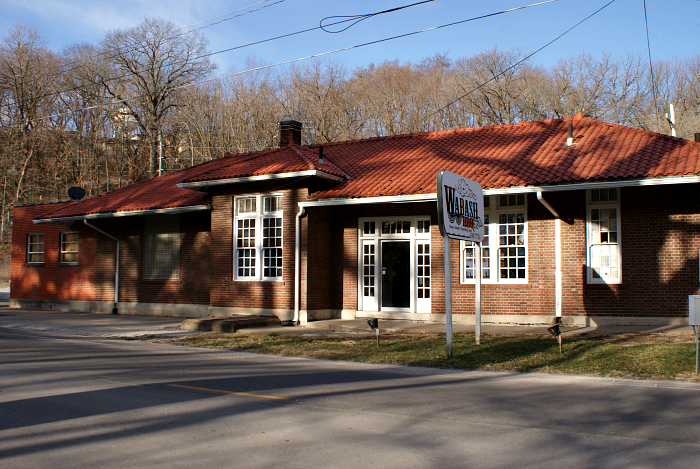 During the late nineteenth and first half of the twentieth century, tourists visited Excelsior Springs and The Elms to enjoy the healing powers of the natural spring waters. During Prohibition, infamous gangsters, including Al Capone, held bootleg parties at The Elms.